SHANGHAI—An executive at Warren Buffett -backed BYD Co. defended its business prospects after shares in the Chinese electric-car maker fell as much as 47% on Thursday. In a conference call late Thursday, company secretary Qian Li said BYD’s operations were normal despite the share plunge and sought to dispel what he called rumors about the company. BYD’s Hong Kong-traded shares regained some ground later Thursday and finished at 25.05 Hong Kong dollars (US$3.23), down 29%. Mr. Li described rumors circulating in the market about BYD—including suggestions that its founder and chairman had been arrested—as “ridiculous” and urged investors to ignore them. BYD also produces mobile-phone components and solar panels. Asked whether the price movement could be related to a selloff in shares by Mr. Buffett’s Berkshire Hathaway investment vehicle, Mr. Li said BYD had been in recent contact with Mr. Buffett but there was no sign that Mr. Buffett was considering a sale. He added BYD didn’t reach Mr. Buffett on Thursday due to the time difference between China and the U.S.
Berkshire Hathaway owns a roughly 9% stake in BYD, according to previous company filings, including about one-quarter of its Hong Kong-traded shares. In the Chinese city of Shenzhen, BYD’s shares fell about 10% on Thursday, the daily limit. In October, BYD reported a third-quarter profit drop of 26% and said it expects this year’s profit to fall by up to 22%. Auto-sales growth in China has slowed in recent months amid a broader drop in China’s economic momentum. 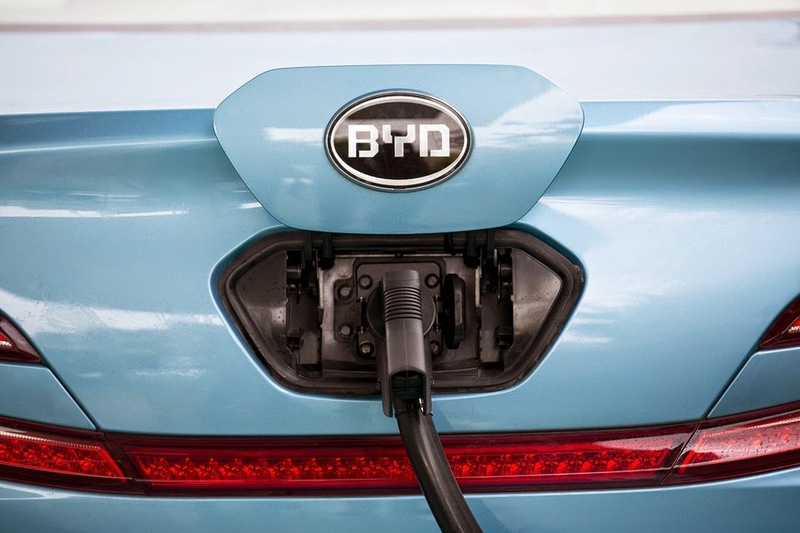 Overall in the first 11 months of 2014, BYD has sold 384,977 vehicles, down from 458,042 vehicles sold in the same period the year before—a 16% drop, according to data from research firm IHS Automotive. While the company frequently touts its line of electric vehicles and plug-in hybrids—vehicles that can run on both gasoline and electricity—it relies heavily on sales of traditional gasoline engine cars for the lion’s share of its automotive revenue. 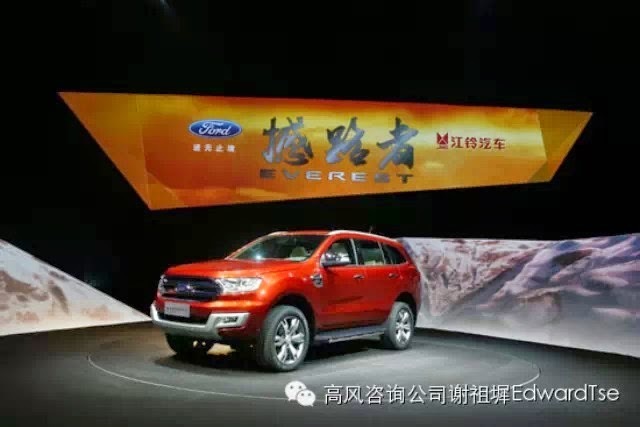 Bill Russo, managing director of consulting firm Gao Feng Advisory, said BYD, like many other Chinese car brands, need to create a brand that appeals to Chinese consumers. “It has to go beyond just being a cheap car,” he said. Mr. Li said BYD faces “hot competition” and decreasing margins in the traditional car market in China but said it was transforming into a manufacturer of new-energy vehicles. China has a long-stated goal of reducing its dependency on imported oil by promoting new-energy vehicles, including passenger cars and buses. China wants half a million such vehicles on the road by next year and 10 times that by the end of the decade. But in the first nine months of this year, fewer than 40,000 electric vehicles were sold in China, according to data from the government-backed China Association of Automobile Manufacturers. Around three quarters of these were passenger cars. By comparison, around 14.2 million conventional passenger cars were sold in the period. IHS Automotive researcher Namrita Chow said the high cost of replacing batteries, lack of adequate charging infrastructure and range anxiety—where buyers worry about how far they can travel on a single charge—are all obstacles in the path to high sales growth rates. She said that BYD had doubled sales of its pure electric e6 car to 2,203 vehicles in the first 10 months of this year compared with the same period last year. Sales for the hybrid Qin had so far reached just over 11,000 vehicles in its first year on sale. Mr. Li dismissed talk that the Chinese government could be reducing its support of new-energy vehicles, including buses, saying BYD continued to see good order flow for them. “We’re confident on the future of electric buses,” Mr. Li said. A nearly 50% drop in oil prices over the past six months has pressured green stocks in a number of areas. “With the oil price down, the global outlook for electric vehicles looks very different from just a couple of months ago,” said Jochen Siebert, a Shanghai-based managing director at JSC Automotive Consulting. “BYD’s electric and hybrid car business will likely be impacted,” he added.